HTC has broken its bad streak with the HTC One and are looking to continue improving by stepping up marketing. How? 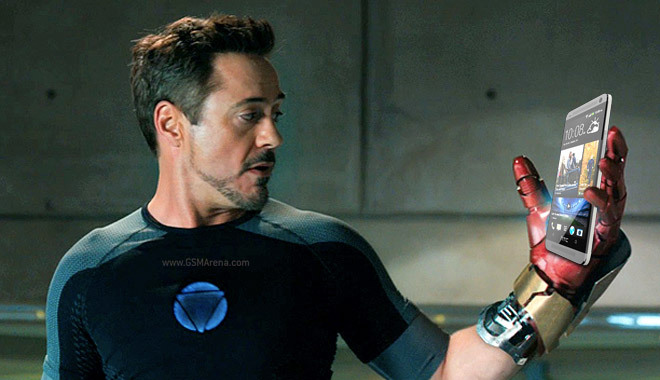 By hiring Iron Man himself, Robert Downey Jr., to promote HTC’s phones. Bloomberg reports that RDJ won’t be playing any of his famous characters, he will be himself, which is just as awesome (though admittedly Iron Man and the metal-clad HTC One would have gone well together). He will be promoting smartphones from HTC for two years to the tune of $12 million. It’s a bold move from HTC, which reportedly has only a tenth of the marketing budget that chief rival Samsung has to work with. Even though HTC and Robert Downey Jr.’s agency have yet to confirm the deal, we can’t wait for the first ads to hit.